The Holidays are fast approaching – time for family gatherings, cocktail parties and neighborhood dinners. It’s this time of year that we forgo the breakfast bar and put our dining furniture to good use. If you are in need of a new dining set, don’t fret. Visit your nearest Hennen’s showroom in St. Cloud, Willmar or Alexandria. With many styles in stock and convenient delivery, you can be ready for the Holidays in no time. 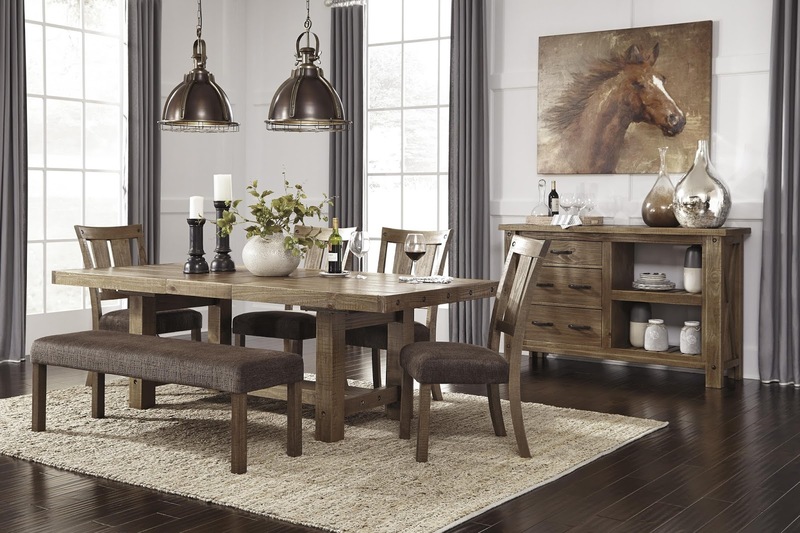 Choosing a dining table that works for your family and your space can be overwhelming. But don’t worry, you’ve got this. The friendly, professional design consultants at Hennen’s will help – but a little preparation never hurt anyone. Jot down your thoughts to these five questions and you’ll be ready for a great shopping trip. 1. How Many People Do You Want to Seat? How many people will use the table on a daily basis and how many for special occasions? If your current space is smaller than you like, consider borrowing space from an adjoining room or swapping rooms for more possibilities. Many tables come with leaves or extensions that will help you transform your entertaining power from modest to mega. 2. How Often Will You Use Your Dining Table? Will you use your table daily, once per week, or only on special occasions? Knowing this will help your design consultant assist you in choosing the right materials. 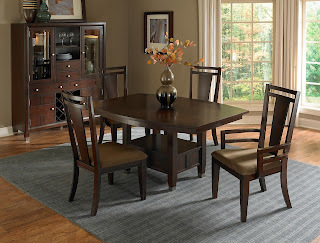 If your dining table is also Homework Central, then a stain-resistant veneer top may be a good choice. 3. 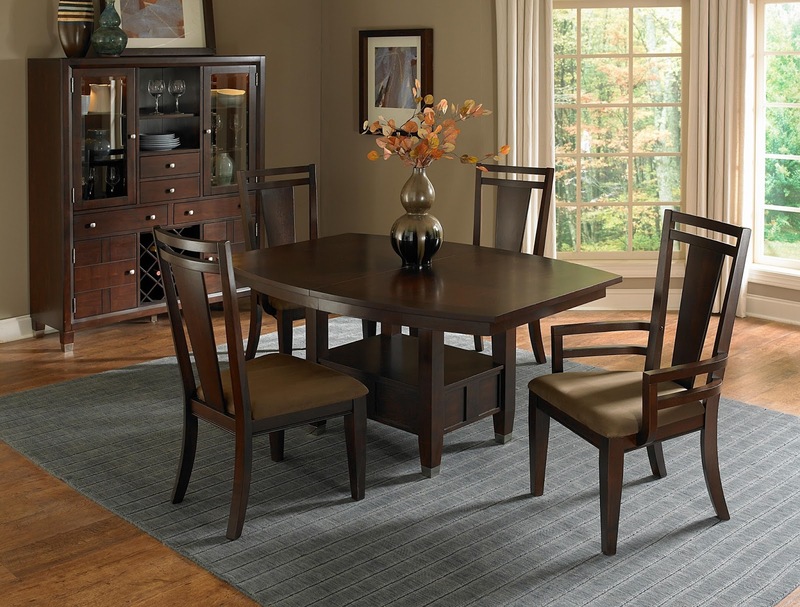 What Shape Table Will Fit in Your Space? It’s time to think outside the box. 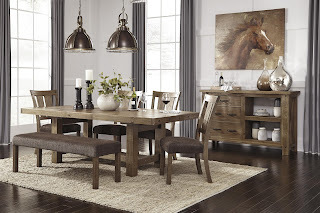 Dining tables can be rectangular, round, square, hexagon and many come in counter height pub styles. Bring a photo of your space and room dimensions along to help sort out your options. If your dining space is situated near a window, consider maximizing the view outside. 4. What Style of Table Do You Like? To articulate your design style, bring photos from your Pinterest board or your favorite magazines. Taking photos of other rooms in your home will also help your design consultant help you choose a table that’s perfectly you. 5. What Colors Are You Drawn To? Along with style, consider color. Do you want your table to match the other wood in your home? Or do you want to make a statement with an accent color? In addition to stained options, consider partially painted or fully painted pieces for a pop of color.